Heading to NYC: to rent or fold? This is how the Dahon looks built up and pulling the DIY trailer I made for it. I have to go to New York City next Monday. I was all set to take to take my Dahon folding bike when I noticed that AirTran charges$20 for the first checked bag. 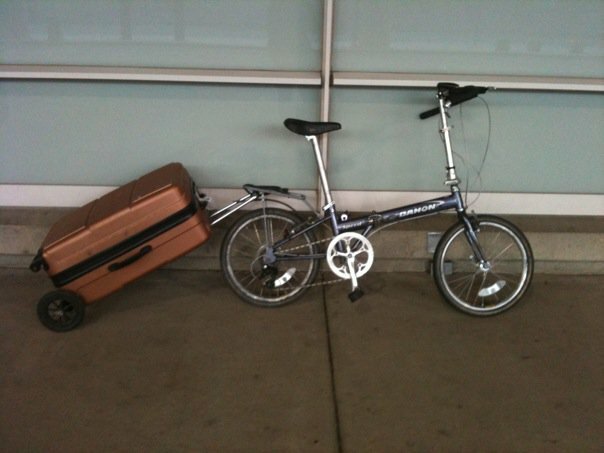 So it will cost me $40 extra just to bring my folding bike, which is also kind of a pain to break down small enough to meet the 61 inch combined size airline baggage limits and to fit in the DIY trailer I made for it. Although it is a minor pain to remove the wheels, handlebar and derailleur from the Dahon in order to make it shrink to a combined 60 inches, it is nice to be able to bike to and from the airport. 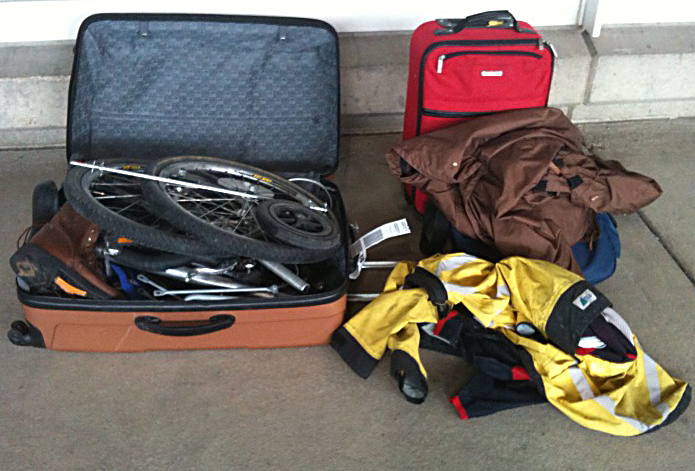 When the bike is built, the carry-on bag and jackets can go inside the large suitcase/trailer. As long as I have to pay for checked bags (last time I fly AirTran. Frontier had the same flight with no fee), I did a quick check on rental bikes in Manhattan, and I came across Frank’s Bike Shop. Go ahead and click on it, pretty low tech internet presence. But the buried web treasue is their rental bike page, a rental bike heaven. It has to be one of the coolest collection of rental bikes this side of Russell‘s basement. So what do you think? 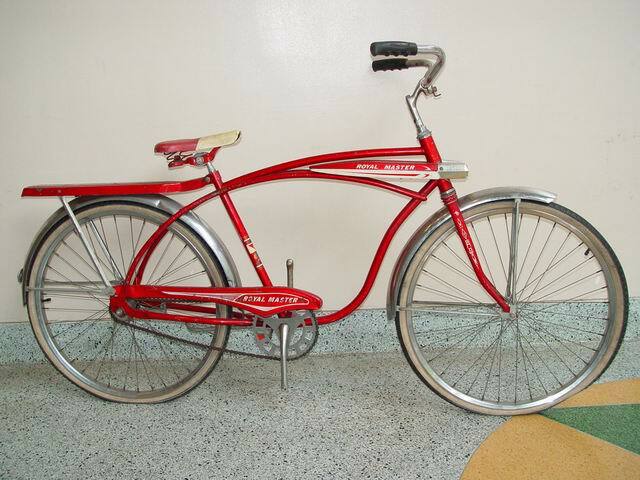 Bring the Dahon or rent a cool vintage bike? I am guessing, that based on other rental fees in Manhattan, these bikes would rent for about $30 a day (I will call tomorrow to find out). Leave a comment with your vote. If you think I should rent, which bike should I get? Rent. 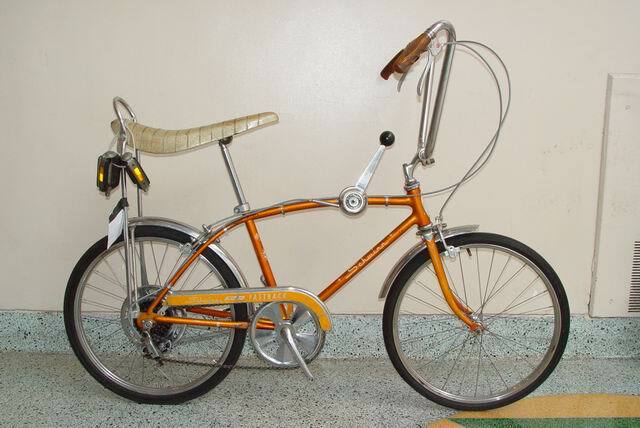 While you’ll need to take a train from the airport, no one looks good on a Dahon, and no one looks bad on a Speedster. 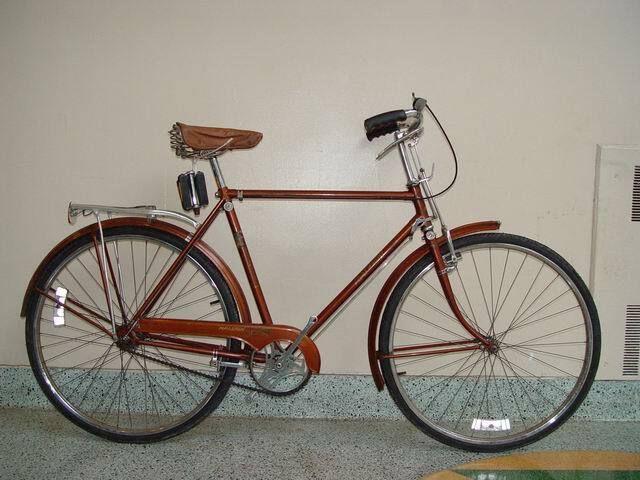 I say the Raleigh Tourist – http://www.franksbikes.com/37.JPG – the English take on the dutch city bike. Its freakin Manhattan. Live like a native and just bring a good bolt cutter. Hey, whatever happened to your Delta Airlines project? renting the unicycle would leave you hands-free for a camera or a schlitz tall boy. 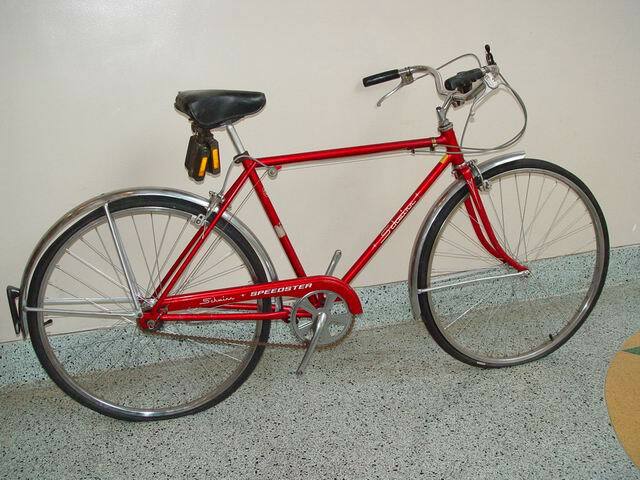 I think you should rent the Raleigh Sports. although my personal fav is the fastback i think you might need a bit more comfort and perhaps a rack so i vote for the raleigh sports.